We reap what we sow. Choose what you nourish carefully. Agriculture is a business. And with any business, there are a variety of insurance policies to choose from to ensure the farmer gets some return from his crop in case of a catastrophic event. I wish we would have applied some sort of “insurance” to an apple tree in our orchard last year that was overladen with fruit. Surprisingly, the year before it was barren but had somehow managed to store all its creative energy for the next year’s harvest. The harvest was going to be tremendous! 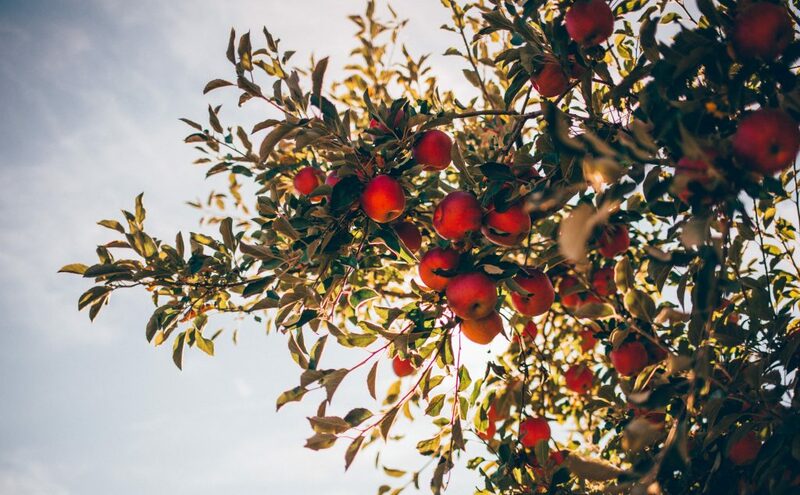 It seemed as if each and every branch carried an obscene amount of fruit on it and consequently the boughs began to dip near the ground with the weight. Visions of apple butter, apple pie, dried apples, baked apples, and apple crisp danced through my head in late August. In the first part of September, a terrible storm punished our farm with wild winds. The tree branches that were so heavy with fruit, they just broke off. The storm left most of the unripened apples on the ground as well as a split apple tree trunk. Sadly, the result was we lost most of the fruit from that year’s harvest, and we lost the future harvests from that tree because of the devastating damage. How could have we prevented this tragedy? With a little Harvest Insurance called pruning. Seriously, pruning is never pleasant and always painful, but for our spiritual health, it is entirely necessary. Let me share with you a bit of pruning that was done to me last week. After a prayer time with friends in my Selah group, I was discussing my brother who had been ill for several weeks and said the Lord will not give me more than I can handle this week. Can I just say, it had already been a week? It was only Wednesday, and I had the privilege of taking care of my elderly loved one’s needs (his Will, banking, batteries for watches, groceries, and bill paying) and all I really needed to do, at least I thought, was write. But, there wasn’t time. My unfruitful attitude was starting to flourish, damaging my spiritual health, and God the Gardener knew. My oldest brother passed away late last week, and so the pruning of sorrow begins on the superfluous areas of my soul. As you go through this week walking with Christ, try looking at the trials you are facing as a time of pruning and receive them with humble gratitude knowing that they lead to deeper intimacy with God and greater spiritual health. Try to picture them as Harvest Insurance.